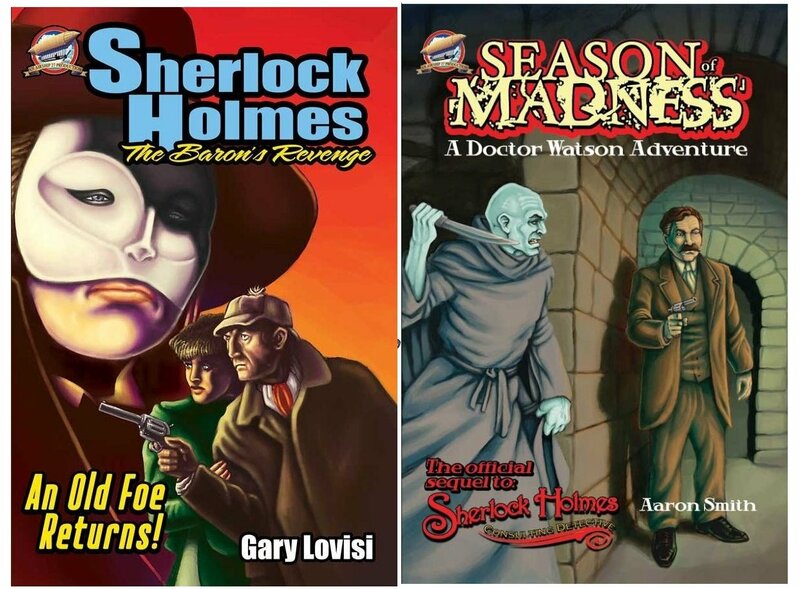 Several years ago writer Gary Lovisi submitted his novel, “SHERLOCK HOLMES – The Baron’s Revenge,” to us. We loved it. We published it via Create Space and began selling it at Amazon in hard copy. Shortly thereafter, Gary was approached by some bully lawyer claiming he was infringing on a licensed property and was attempting to coerce him via this blackmailing ploy. When Gary notified us of this contact, we assured him Holmes was public domain and he should ignore this jerk. Sadly, this was a year or so before the U.S. Federal Court made our claim known throughout the land. In deference to Gary’s wishes, he pulled the book from Amazon’s public pages….but continued to sell it at the Create Space site. Ultimately, we went and released it on Kindle. Then after the court’s public ruling, we notified Amazon to put the book back up publicly where everyone could find it again. It’s a great book and deserves to be read by Holmes fans everywhere. Somehow our request was never implanted and only recently, while preparing to have all our Holmes titles done as audio books, we discovered Amazon had dropped the ball and never gotten “The Baron’s Revenge” back up on an official Amazon page. This past week, we contacted them again, explained the situation and they, Amazon, told us they would remedy the issue. But for whatever reasons, Amazon has chosen NOT to comply with our wishes and the title on the Amazon pages only appears for Kindle. To that end we are posting its page at Create Space where you can now buy a hard copy. If we have our way it will remain there indefinitely. Gary Lovisi’s “SHERLOCK HOLMES – The Baron’s Revenge” is once again available in hard copy at the link below. 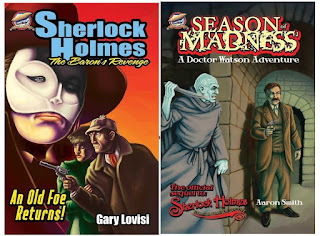 At the same we posted a new Airship 27 Production edition of our first Dr. Watson solo adventure, SEASON OF MADNESS by Aaron Smith, which had been out of print for a while. We’re delighted to have this new edition available once again. It too will soon be an audio book from Radio Archives. 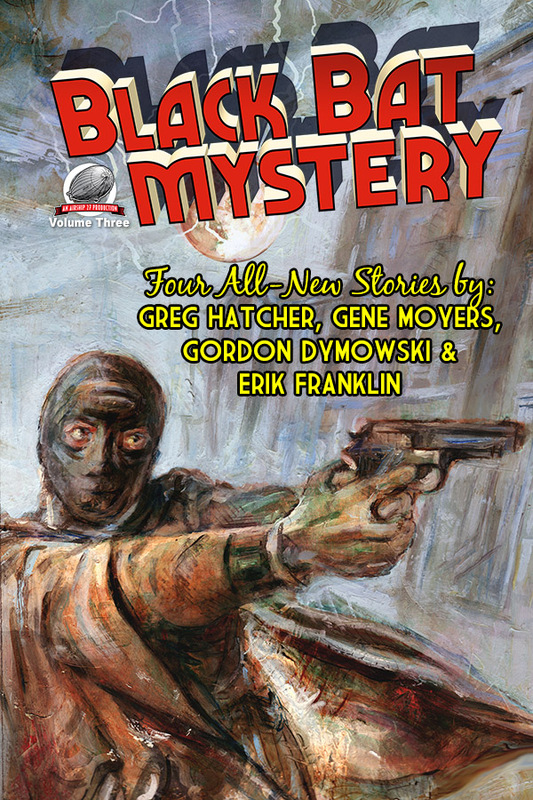 Airship 27 Productions is thrilled to announce the release of “Black Bat Mystery Vol 3.” One of the greatest pulp action heroes is back in four brand new adventures. Tony Quinn, blind defense attorney and police consultant, is in reality the crime-busting vigilante known as the Black Bat. He is aided by the lovely Carol Baldwin, former con-artist Silk Kirby and ex-boxer Butch O’Malley. Together they battle the underworld of New York City, fearlessly putting their lives at risk to champion justice. In this third volume, the Black Bat faces a mystic swami said to possess arcane powers, boards a high speed train to foil a gang’s bold attempt to rescue their captured boss and offers his services to protect the life of a famous Broadway personality threatened with death. 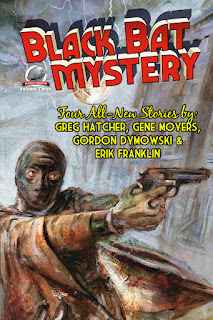 New pulp writers Greg Hatcher, Gene Moyers, Gordon Dymowski and Erik Franklin have captured all the action and thrills that were hallmarks of the early pulps and delivered a quartet of amazing Black Bat exploits pulps fans will cherish. “Black Bat Mysteries Vol 3” features twelve interior illustrations by Marco Santiago and a gorgeous, painted cover by Graham Hill, with design by Airship 27 Production Art Director Rob Davis. 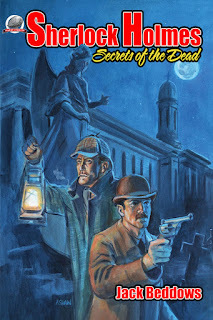 Airship 27 Productions is proud to present its latest Sherlock Holmes title, “Sherlock Holmes – Secrets of the Dead” by Jack Beddows. A frightened woman contacts Sherlock Holmes believing her husband is plotting to murder her. Holmes entraps the devious spouse and turns him over to the police. Several days later the woman is found hanged in her home. Now Holmes and Watson find themselves immersed in a far greater mystery; one with connections to high ranking government officials and treacherous foreign affairs. Soon the Great Detective and his loyal companion become the targets of a deadly assassin all because of something called the Berenford Letter. Thus begins the chase that will lead the duo through the darkest corners of London; from an abandoned munitions factory to the eerie and sinister depot of the dead, the Necropolis Station and end in the gloomy corridors of an insane asylum. All the while Holmes realizes they are being manipulated by a criminal genius whose ultimate goal will reveal the secrets of the dead and a hidden piece of Sherlock Holmes’ own past. The cover art is by Adam Shaw and Pulp Factory Award winning artist, Rob Davis, provides the nine black and white interior illustrations. Davis has been called the Sidney Paget of our times and his hundreds of Holmes and Watson drawings over the past ten years have cemented that claim. 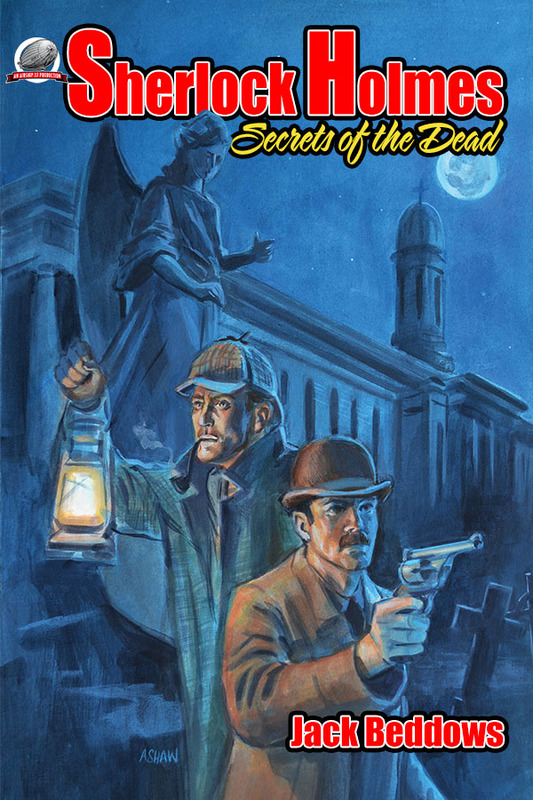 “Sherlock Holmes – Secrets of the Dead,” is a gripping, suspense filled adventure as can only be offered by Airship 27 Productions; an acknowledge leader in New Pulp fiction. Now going up at Amazon.